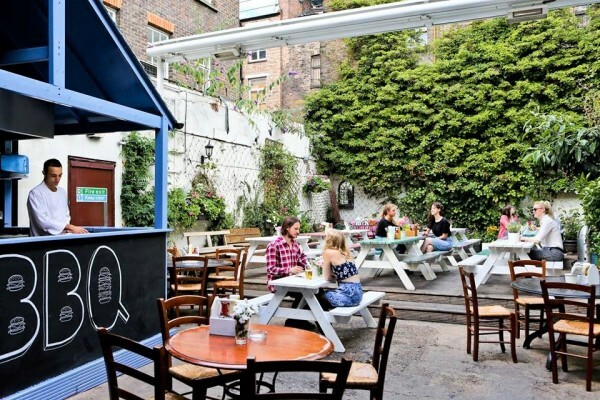 Outdoor drinking spots where you can actually catch some sunshine are rare in London. But when you know your way around you’ll find some hidden treasures all around the city. 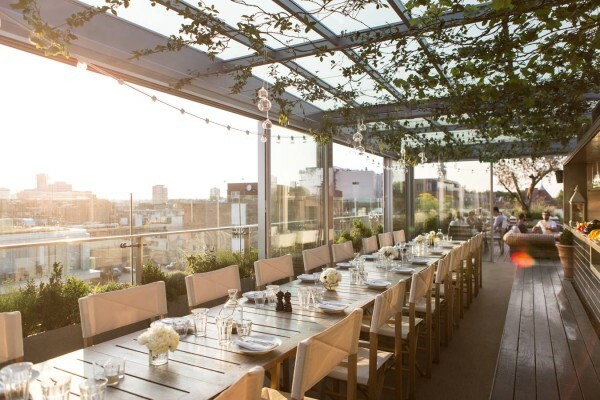 East London has a couple of the best outdoor vibes for the weekend, enjoy the sunshine, creative vibes and this list of the best terraces and rooftops in East London. 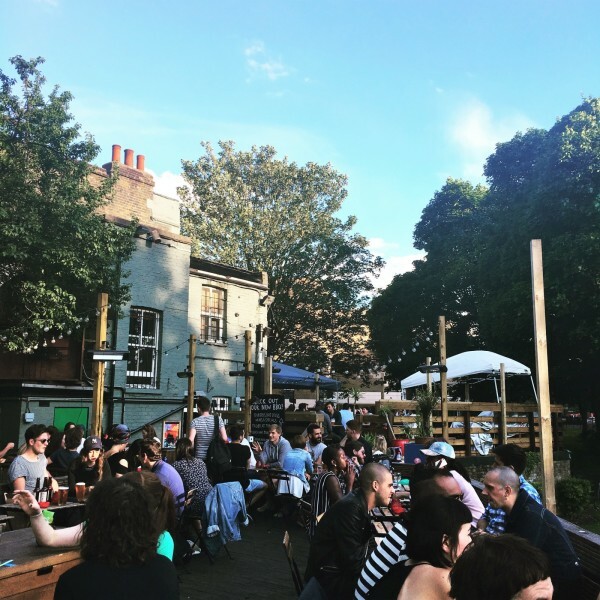 In Victoria park lies my absolute favourite beer garden: the people’s park tavern. It’s so much more than just a garden, situated in the beautiful park. The tavern hosts mini golf for the kids, has an amazing BBQ going on, and on the weekends it’s the best place to enjoy some live music and chat with some locals. Oh. And did I mention it’s HUGE? London Fields just off Broadway market is one of the few parks where you can actually have a BBQ in London. 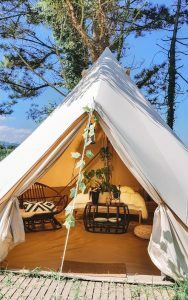 You’ll find loads of twenty-somethings and thirty-somethings chilling with their mates on a sunny day here. 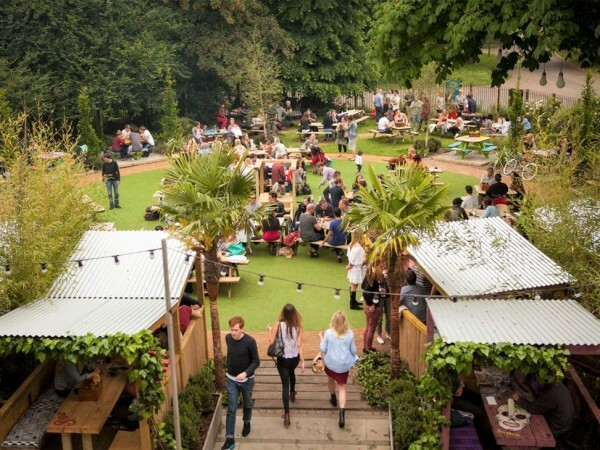 The Pub on the Park with their big terrace overlooking the park is the perfect spot to enjoy the weekend and get a bit of colour. In the centre of Shoreditch, east London, you’ll find my fave street; Redchurch street. This street has a great selection of shops, street art, cool cafe’s and the hidden rooftop bar at Boundary where you can enjoy the sun all the way until it goes down. Cool workspace, cafe, restaurant, outside movie theater… Netil360 has the whole package of the East London creative scene. 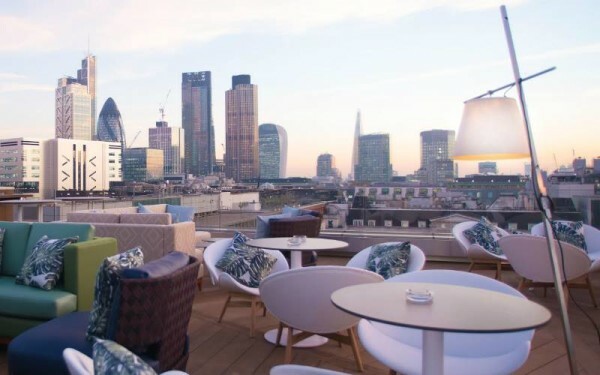 They spent months revamping the rooftop bar and on the 1st of April doors opened again, check it out because it was definitely worth waiting for and belongs to the one of the best terraces and rooftops in East London. Not necessary a terrace, but Colombia road should be on this list. There’s a sunny little square on Ezra street, just off the flower market. 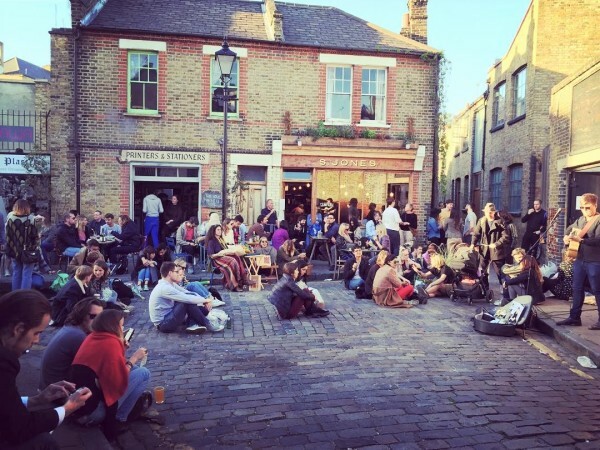 Pop into the royal oak for a cold one and just chill on the street listening to some live bossa nova by street musicians to complete your perfect Sunday. *Jantine is a hip hop & cheese enthusiast and a city girl with a love for everything local. After having explored everything there is in Amsterdam while living there, London became her new playground. Her best days are spent exploring the city off the grid, into neighborhoods where you can eat, drink, dance and chat with locals and become one yourself. She will write for Wander-Lust on a monthly basis where she will tip you about the places to be in London! So offbeat!!! When we do visit London, we will be sure to check out at least one of these.